With a Help-Portrait session at the Maha Kumbh Mela ticked off the bucket list, there was an itch to take this to the next level of awesome! 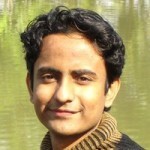 What about a Help-Portrait with the most ‘primitive’ tribe that inhabit the planet? They sure had zilch chances of having their own printed photographs, right? And I thought, hopefully they would love having one. So when we made plans of our African Safari, this was the most important thing on my bucket list. This project had it’s own set of challenges; primarily carrying all the extra printing paraphernalia on an overseas trip when half my luggage was packed to the brim with the cameras and lenses already. Winning the trust of the local Masai people in a very limited amount of time and getting them to open up and participate in such a project would be testing as well. Heck, I wasn’t even sure what language that spoke in! As mentioned earlier, when in doubt, go with the heart. And the heart screamed of an African adventure! 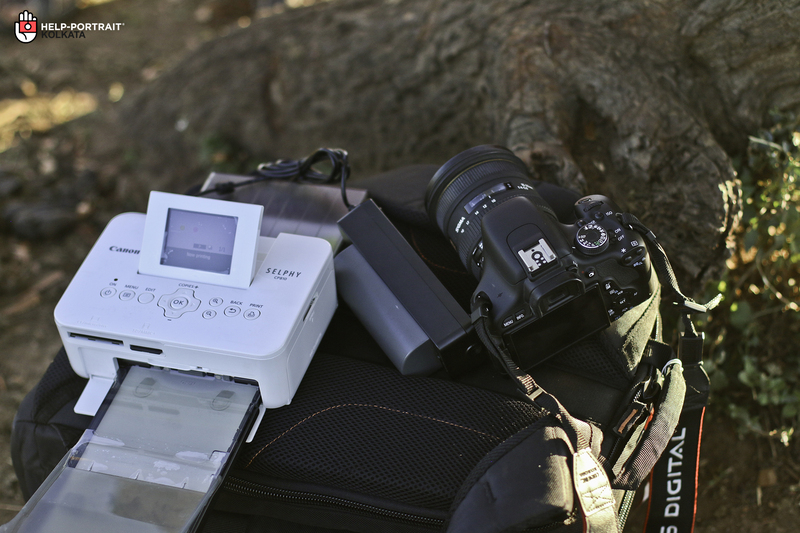 Setting up the printer under the shade of a solitary tree in the Savannahs. And waiting for the magic to begin! Note the big and ugly external battery beside the printer. 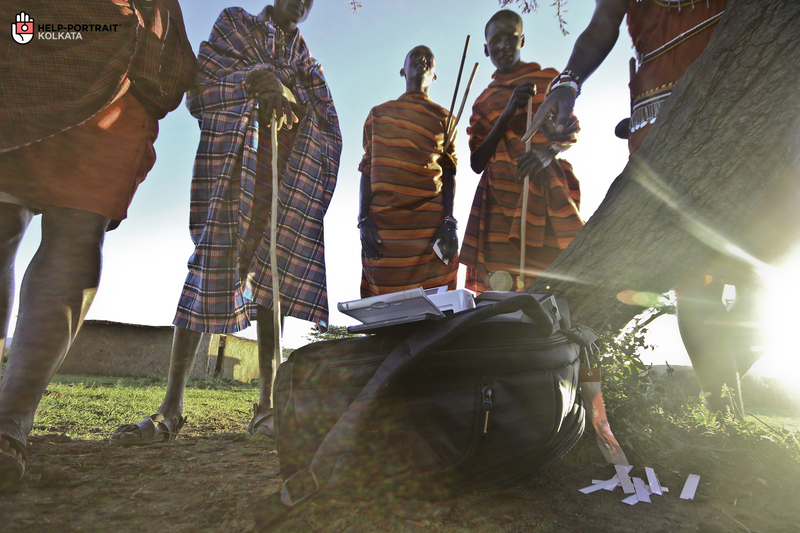 In a Masai Village, you better not go looking out for electricity to power your devices! 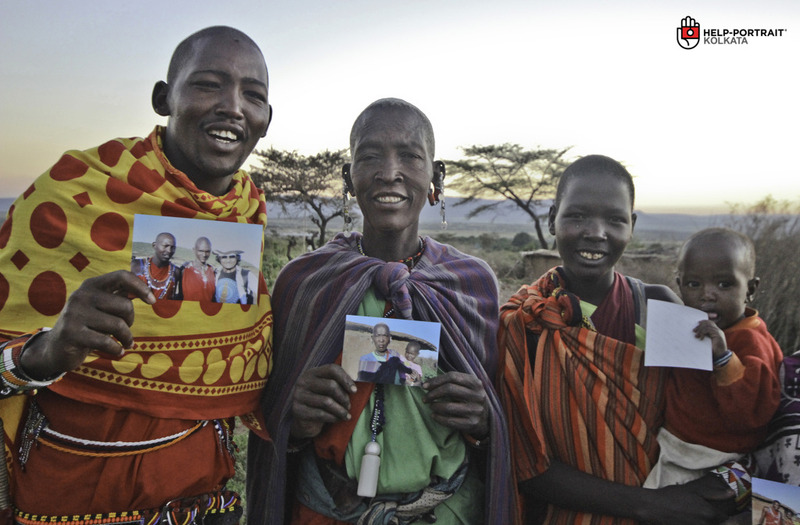 The utter bewilderment of the Masai warriors at the sight of this alien device printing out their photographs. Oh, the little joys of life! 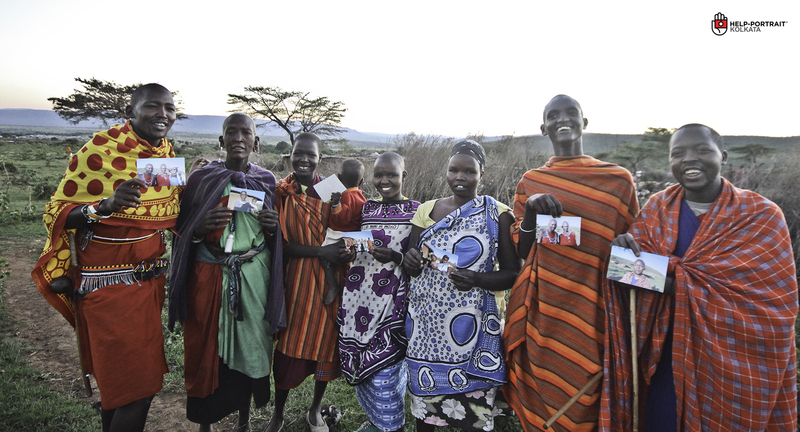 Setting up the printer under the vast expanse of the wild Savannahs and handing out some photographs to the Masai tribe was as special as anything else on my African Safari. (And I’ve experienced some rather special things on this tour. Pretty darn special indeed!) To pull off this project, I had to isolate one particular family away from our tourist group and get them to buy into the idea of this project. Language was sure to be an issue. Incredibly, the two brothers that I managed to zero in on, Sam and Jack, spoke perfect english. 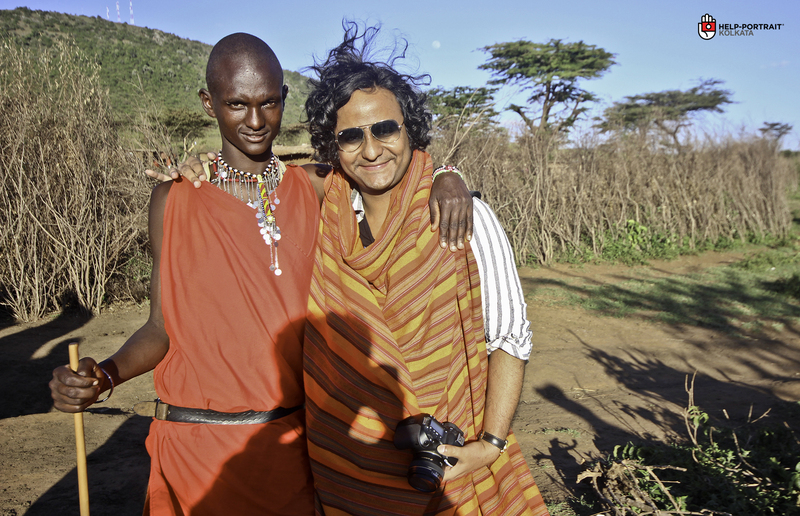 This was because they were a rare breed of young Masai’s who had attended nearby local schools. Hence, communication was a breeze. A gentle and warm African breeze! Jack, all smiles with his Mum, Wife and Daughter. Once I got the family convinced, it was pretty much a cakewalk from there on. They were perfectly relaxed while getting their photos taken since they are used to tourists visiting them regularly. The real fun started when the prints began to come out. This they hadn’t seen ever before. And they got giddy with excitement. As the word spread in the village, a throng of Masai’s lined up, hoping to get their pictures too. I did whatever I could and exhausted my cartridges and paper. But obviously, there weren’t prints for all. Those who got them were absolutely thrilled. In fact, Sam was so touched by it that he gifted me his pendant. 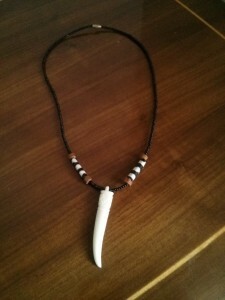 An neckpiece made from an animal tooth. One that he himself hunted down! Special, right? You bet. Gift from Sam, the Masai ~ A neckpiece from an animal tooth that he hunted himself! Special Stuff! !